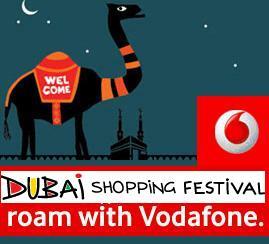 Vodafone, today announced discounted roaming rates for its prepaid and postpaid subscribers travelling to Dubai for the world renowned Dubai shopping festival. Customers can enjoy reduced call rates on all incoming and outgoing calls while roaming in UAE. This service will be valid from 15th January to 28th February 2011.The discounted rates will be applicable for all subscribers who have International Roaming activated on their plan. The company said that through this, Vodafone customers can enjoy 30% reduction on incoming calls and 30% reduction on all local and international outgoing calls. Postpaid customers can also enjoy a 30% discount on GPRS services. What’s the use? Vodafone not allowing PREPAID subscribers of UP E to make calls and SMS while in IR. Don’t know why? only receive calls and SMS.